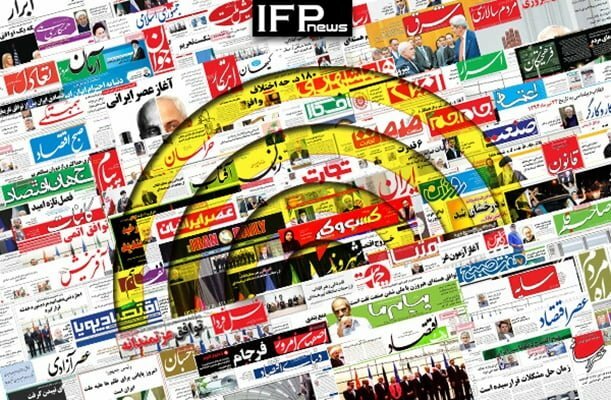 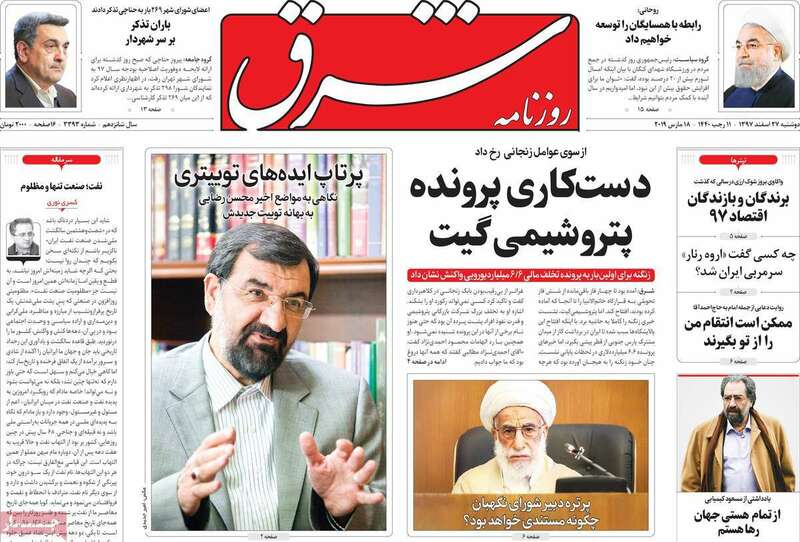 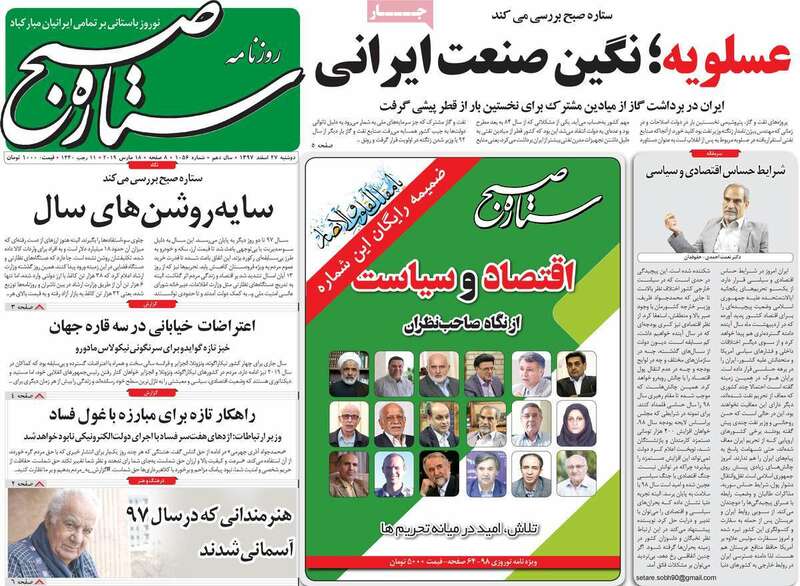 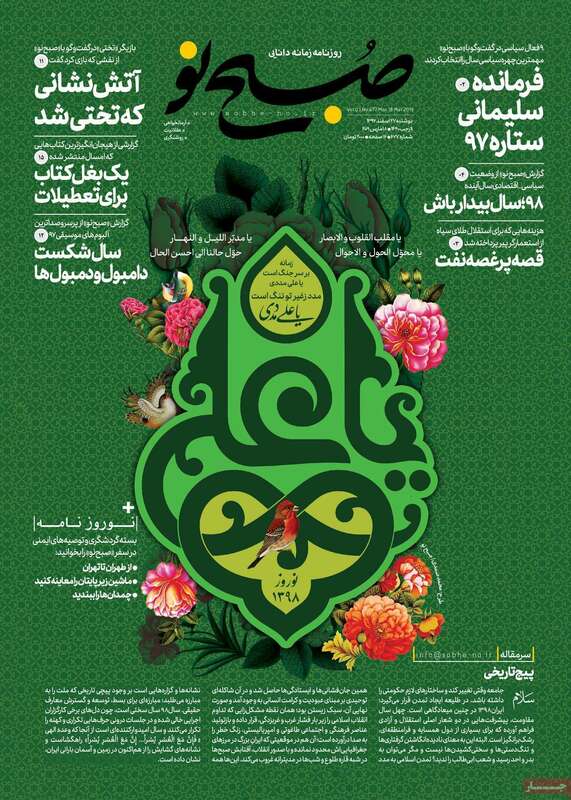 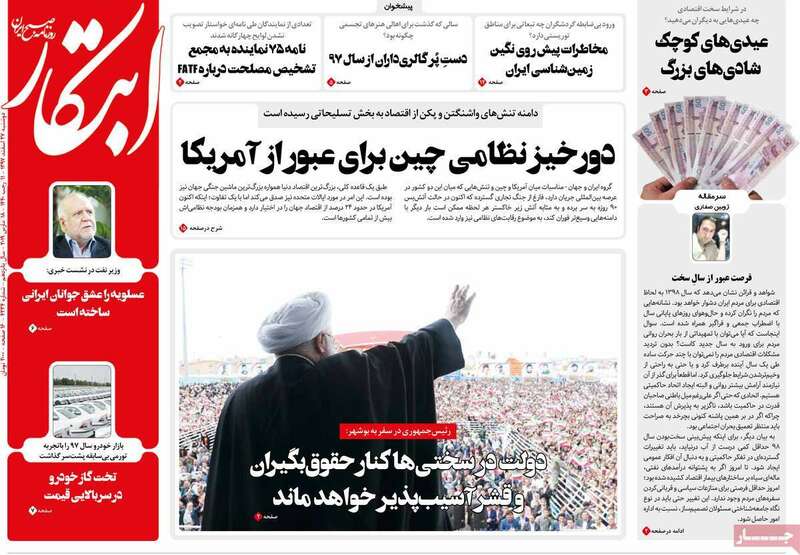 IFP has taken a look at the front pages of Iranian newspapers on Monday, March 18, 2019, and picked headlines from 14 of them. 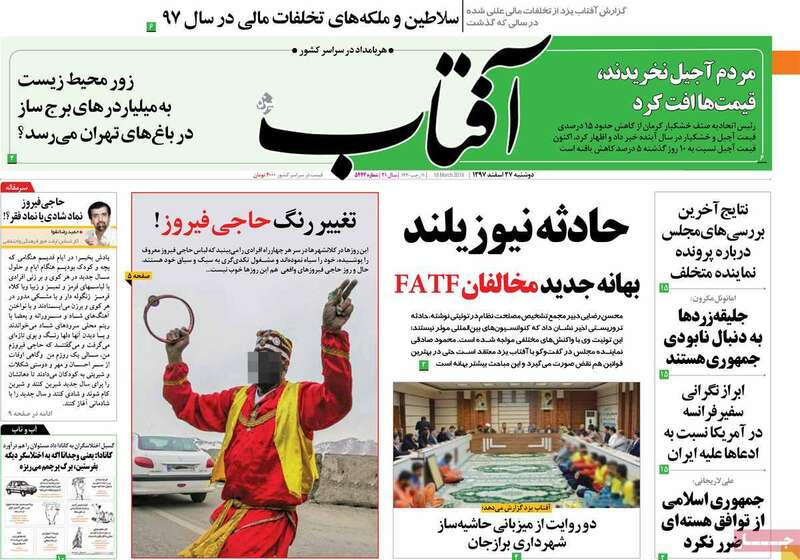 IFP has simply translated the headlines and does not vouch for their accuracy. 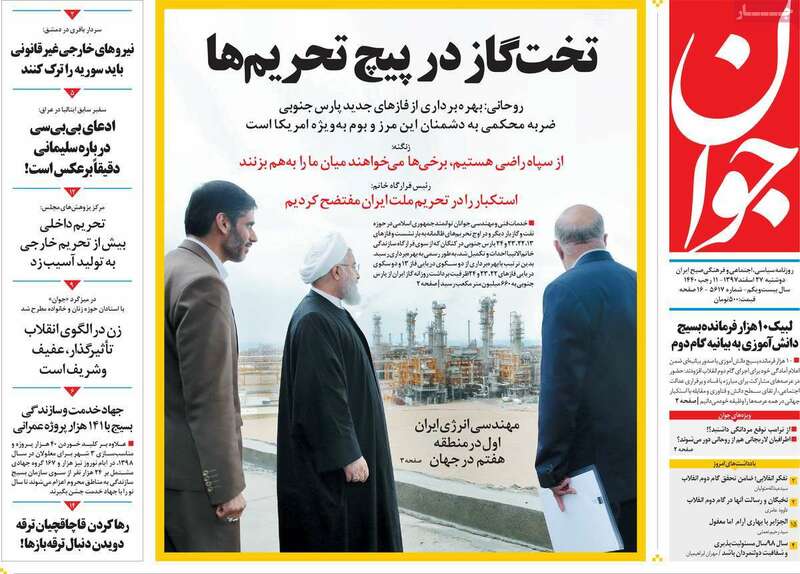 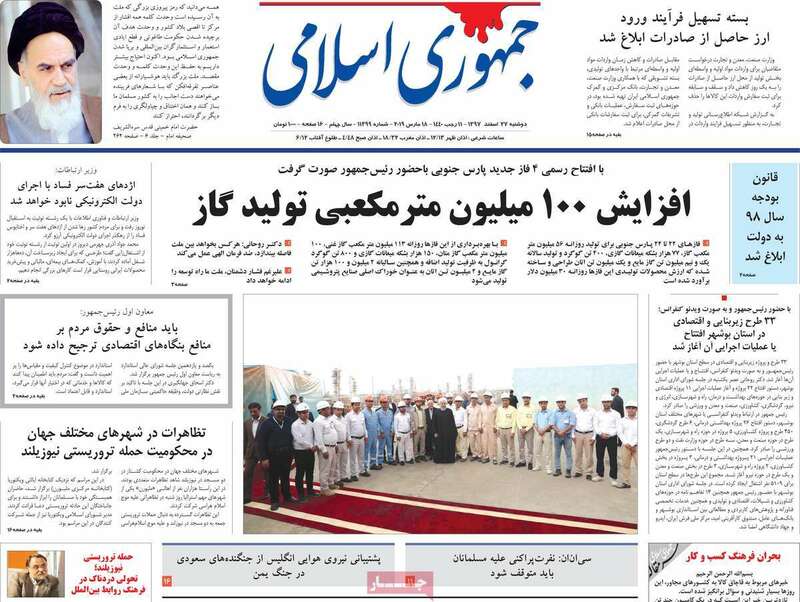 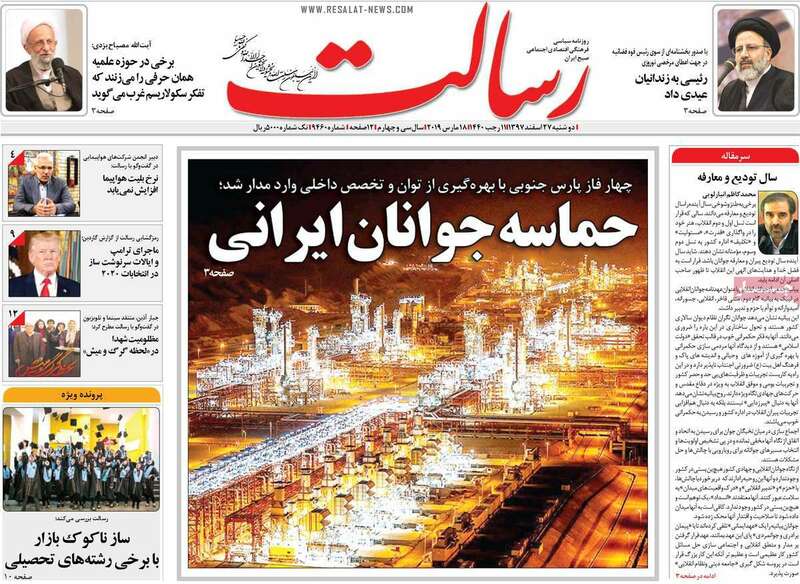 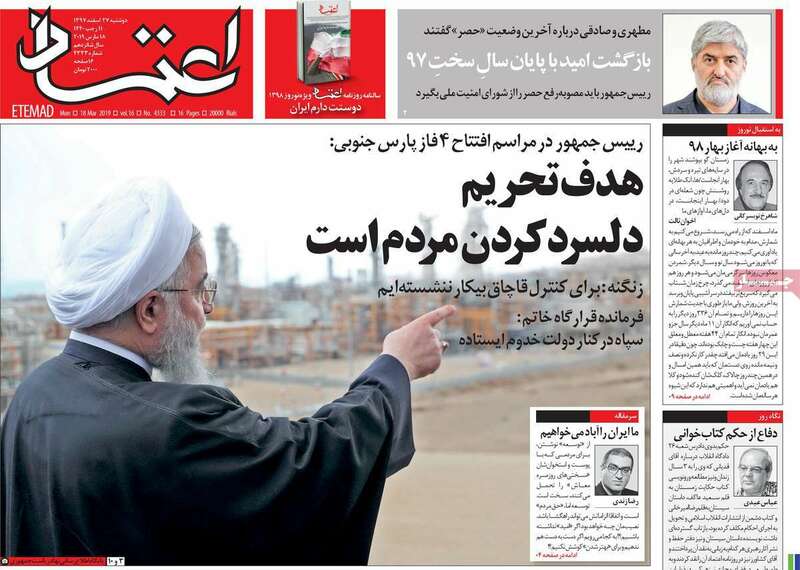 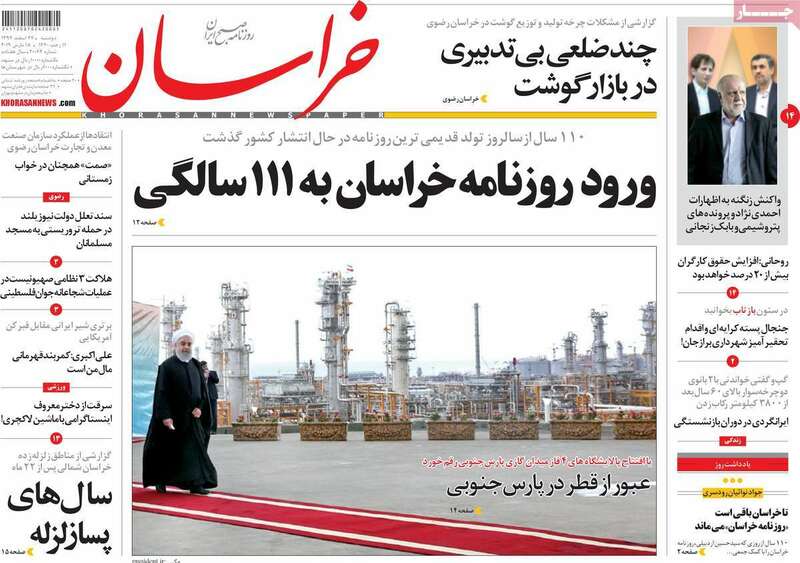 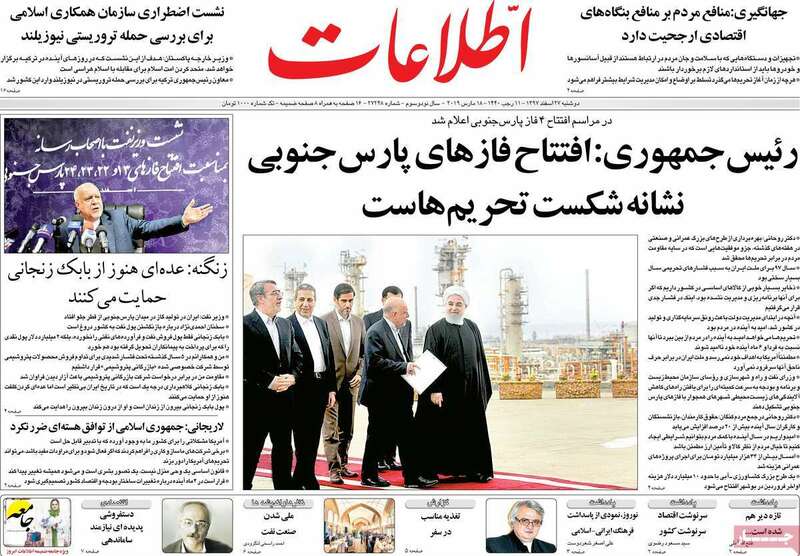 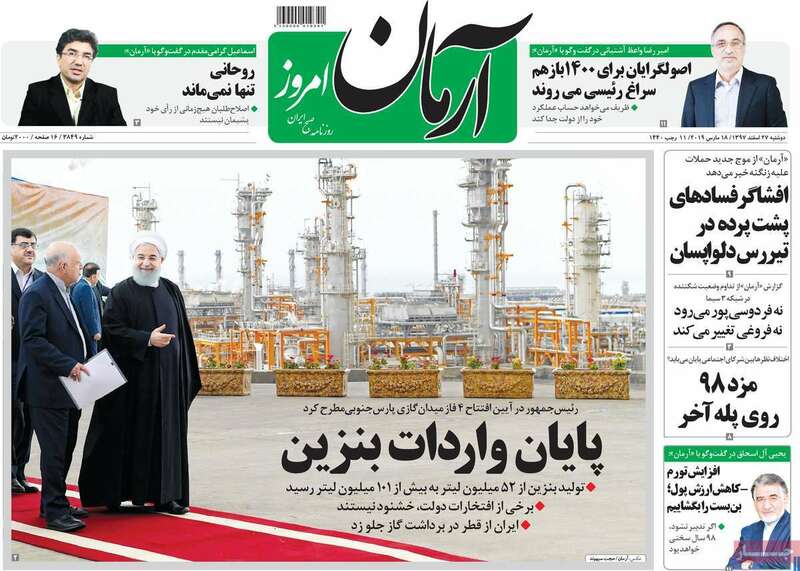 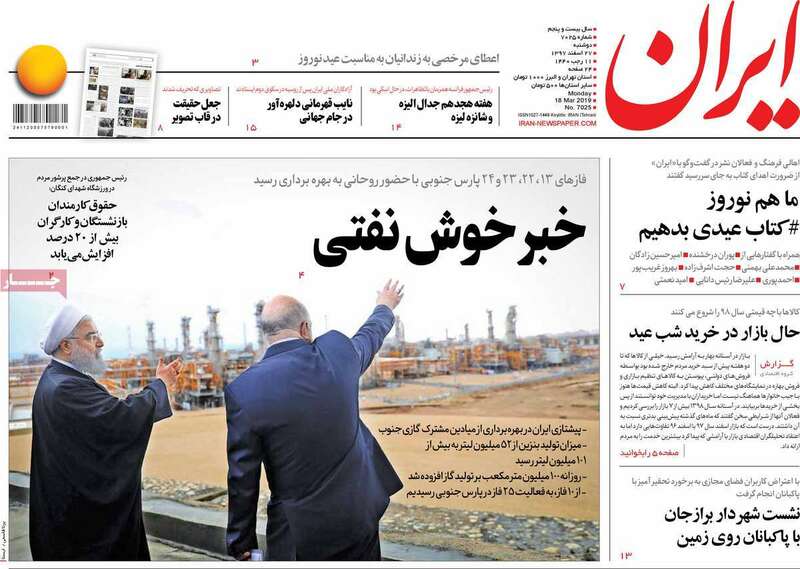 All Iranian papers today, from reformists to conservatives, hailed President Hassan Rouhani’s inauguration of four new phases of the giant South Pars Gas Field in southern Iran, and described it as a proof of Iran’s victory over the US sanctions. 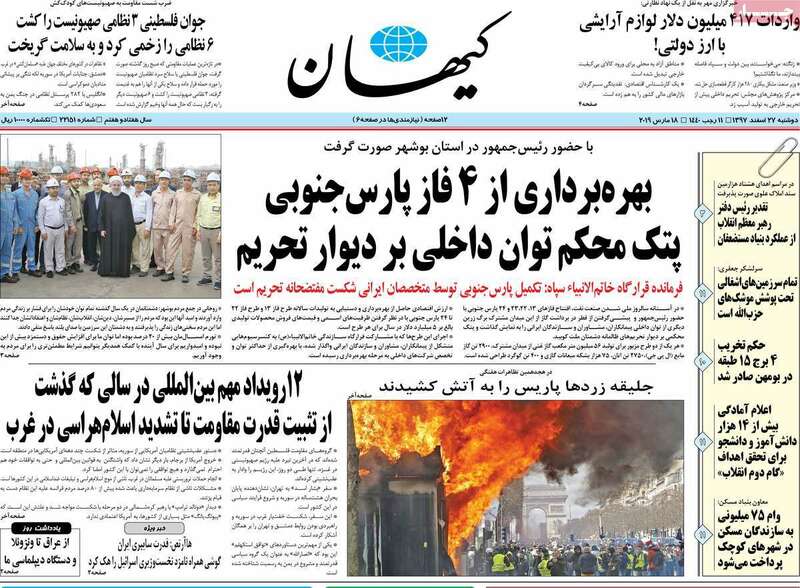 The Friday terror attack on two mosques in New Zealand also remained a top story, as many newspapers covered global reactions to the heinous crime against Muslims.